like so many in other corners of the world, I’m still grieving. 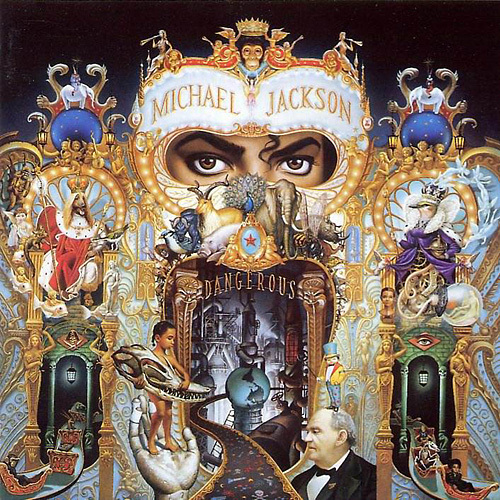 after crying myself asleep and staying up until 3 a.m. Thursday night watching Michael Jackson videos, excitedly reliving my childhood and soaking my laptop with tears, I’m reliving memories that use MJ’s songs and videos as the soundtrack. the openly lit stage and Michael’s gleaming smile are giving my old dreams new light. in 2001 Britney Spears was “that girl.” I couldn’t stand her or her music, but for a moment I wanted to be her strutting across the stage in that mini green sequined dress as Michael tiptoed after her to my all-time favorite song of his, “The Way You Make Me Feel.” I was a senior in high school and could only hope that someday a guy like that would run and fall for me the way Michael did in that song. needless to say, I wore a lot of green and made my hair blonder after that performance for his 30th Anniversary Celebration. 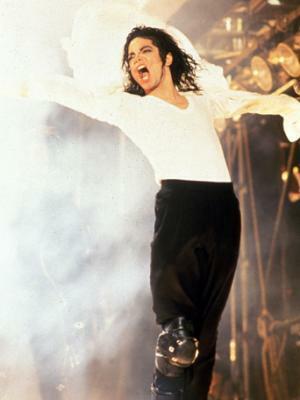 since age 18 I’ve never forgotten how Michael made me feel when I bought my first pair of pumps. but that wasn’t the beginning of my jealousy. Iman planted a big ol’ smooch on him in “Do You Remember The Time.” when the wind hit his white button up just right I swooned. I never saw anyone move like that. I remember sitting on the edge of my bed with my remote in hand turning the volume up and down as my parents’ yelled at me from downstairs. like Macaulay Culkin, I never listened. I even let my jealous streak extend to Culkin – a little boy! a kid my age who got to hang out with the King of Pop? how could I make that happen?! this proved to be one of my most infamous childhood dilemmas. when he comforted his date in “Thriller” I imagined it was me he had his arm around. he was so unbelievably cute then that I couldn’t keep my eyes off his mouth whenever he smiled. 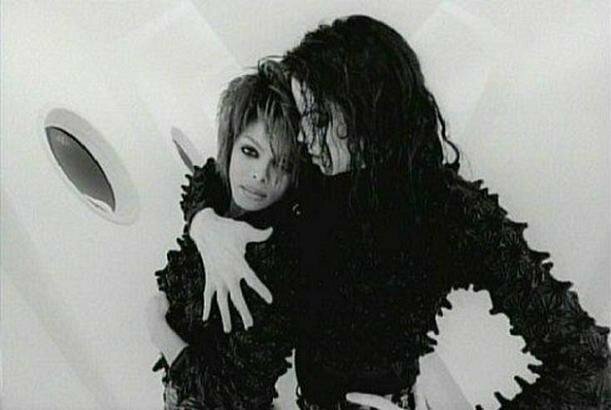 I was smitten when his sister Janet came on the scene with Rhythm Nation that when they teamed up together to record “Scream” I replayed the song so many times that my tape wore out. watching the two siblings mess with each other playing video games was amazing. I rocked Janet’s bob and attempted thick black eyeliner shortly after that. the coupling was just too good to resist. then this gorgeous Bollywood-esque dancer came along and broke it down in a dark street with Michael in “Black Or White” at a time when I thought he looked his best since his “Thriller” days. I always empathized with him in regards to hating his nose because mine is a bit crooked. 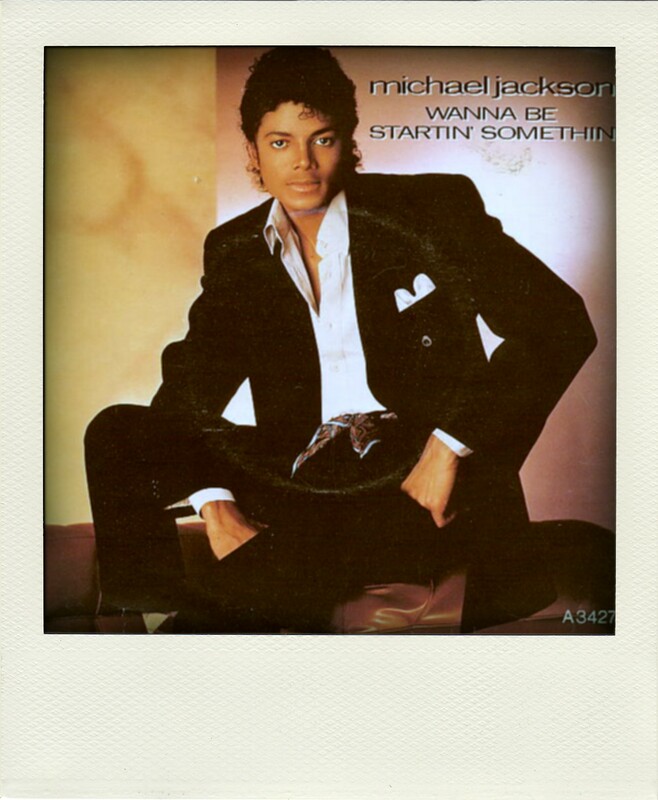 but he looked so good in his “Wanna Be Startin’ Somethin” video that I still can’t totally get why he not only went to the plastic surgeon once, but countless times after that. 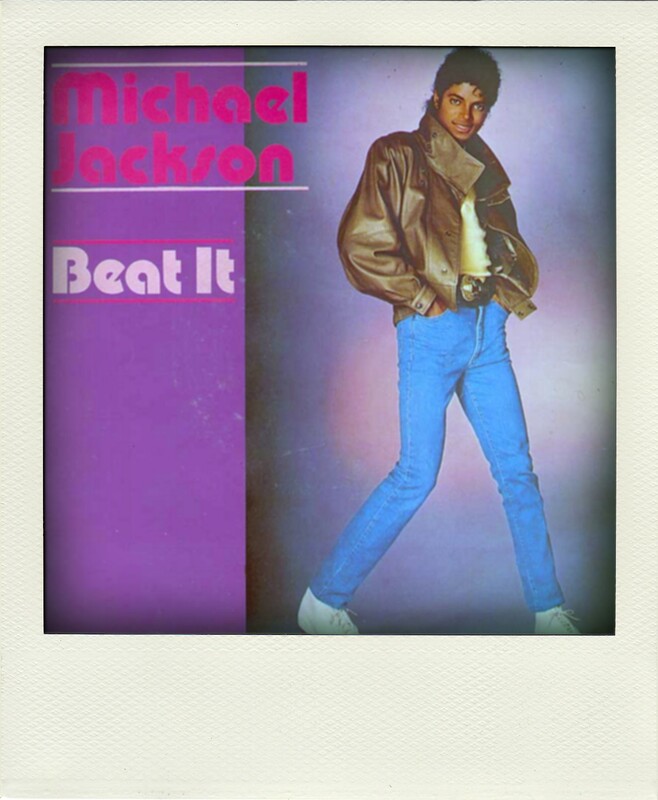 when “Bad” came out I was dying to buy the record and a black leather coat but my mom frowned and said that despite her own love for Michael I was too young to watch an older man grab his crotch like that. she said she didn’t understand why he did it. sure it’s understandable now that I look back on it, but at the time I felt so cheated. of course she didn’t get it. Moms weren’t supposed to. she wouldn’t let me buy Dangerous either. that album artwork with his one tight curl capturing the center frame of the record made me thirsty to sneak out and defy the powers that be. I remember sitting in my friend’s bedroom that summer gazing at it completely entranced. I always found something on that cover that I didn’t see before. I behaved, however, and vicariously broke it down to Michael at my best friend’s house instead. 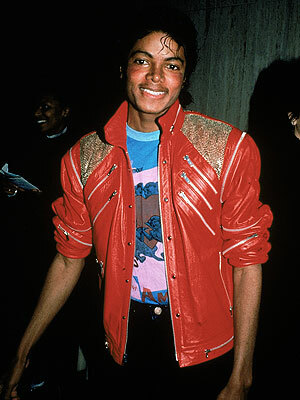 “Rock With You” is my best friend’s favorite Michael song. she could sing like him and keep up with the beat better than anyone I knew. high school was brutal for the both of us as her brother and some of his friends jokingly called her the “female Michael Jackson.” apparently that was supposed to be an insult as Michael continuously gave in to his plastic surgery demons. but that insult was lost on us. as far as we were concerned anything associating us with such an amazing icon was a form of flattery. as recently as two years ago, we were home for Thanksgiving and decided to have a Michael Jackson dance off. just like old times. 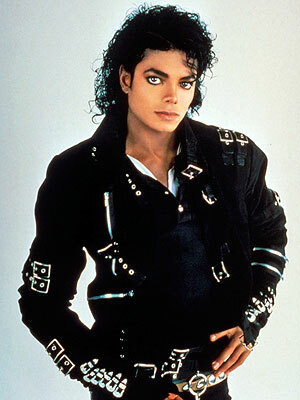 but it wasn’t always so easy loving a legend like Michael Jackson. I’ve been upset with myself since his passing last week when I think about all the times I doubted the star. soon after his 2001 performance and in 2003 when he was accused a second time of child molestation, I found it really hard to be there to defend him. even loyal followers like myself scorned and scowled at the sight of him. my gut wretches just thinking about how cruel I was. while I fiercely defended him the first go-around, chalking up the allegations against him as people just wanting to feed off of him like they did with Elvis Presley and my other icon, Marilyn Monroe. bottom feeders, I remember muttering viciously. but not the second time. he shared a bed with boys and thought nothing of it. what’s wrong with you? wake up!! I wanted to scream. I needed to know why. even now I still need to believe he never harmed any of them and merely wanted the warmth of a family, a love he always lacked in his own upbringing thanks to his father. but a large part of me still wavered and still does. 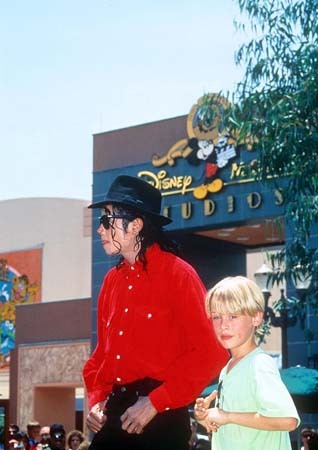 could the King of Pop, one of my all-time favorite people in the world ever be capable of doing such harm to a kid? even as a father to his own three children? having a little brother made me infuriated at him. 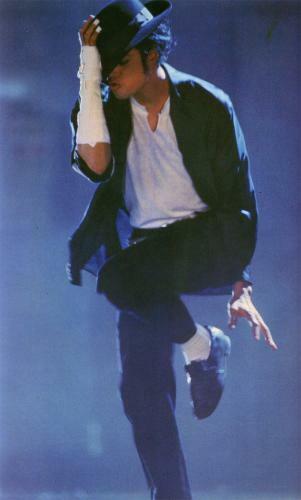 I was so upset I remember moving my MJ cassettes and CDs to the bottom of the pile next to my stereo in protest. I muted his videos on MTV, an act that made pushing the mute button more painful than going to gym class. 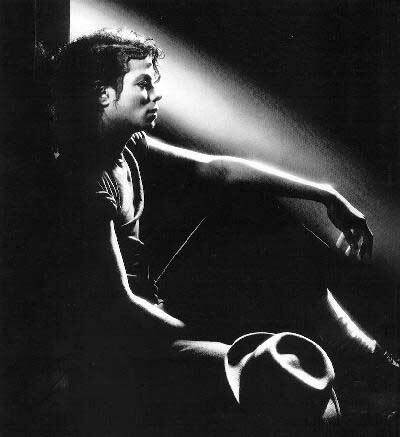 but despite my anger and frustration, I always held a soft spot for my MJ. Michael had a well-known Peter Pan complex, but was also our very own modern day Benjamin Button. at age 5 he moved and sounded like an adult, scoffing at any thought of a gawky stage as he Moonwalked gracefully across any stage and into our hearts. but at 40 years old he showed signs of a small boy trapped in a man’s body, what with using his backyard as his personal merry-go-round. he was a sensitive man who had a ton of mental issues – and who could blame him. he was misunderstood, mistreated, and unequipped to deal with life. he exiled himself. he was once quoted as saying that if it was acceptable for him to sleep on the stage then he would have because that’s where he felt the most comfortable. I’m not excusing any behavior he may or may not have done, but to be fair Michael lived a life that never included the real world. his concept of right and wrong never jived with normalcy – not because he didn’t want it to but because he never knew any better. to this day I protest and stand firm in my belief that his personal choices never influenced his music. he quieted his nightmares to the tune of his voice, the swagger in his step. 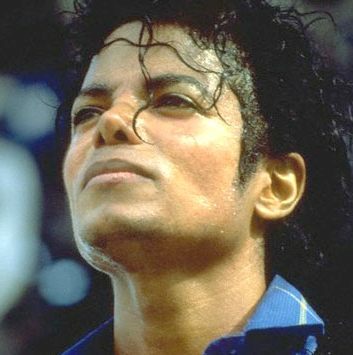 while I didn’t always support him as much as I wanted to, I stayed an ultimate fan of his music, his footprint. 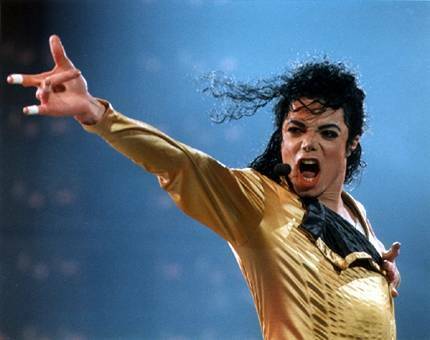 now that Michael Jackson is officially gone – I’m still inept at using the “d” word – I wish I had spoken up more in his defense. sure it’s probably a moot point because one can always do more. while I was usually one of few to ever defend him and try to decipher his side of the story, I could have done more to honor his music. I openly laughed as comedians made fun of his Neverland and dwindling nose. I doubted his comeback ability as recently as a few months ago when he declared he was going to perform in London “one last time.” I gulp thinking of how I laughed at his expense knowing that I never truly meant it. 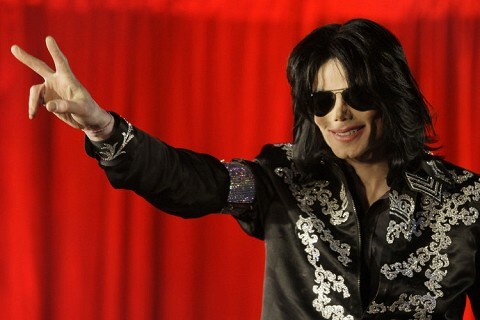 as with all classic tragedies, Michael is celebrated more in death than when he was with us. the 70s, 80s and 90s were good to him, but once 2000 came change polluted the air. we turned our backs on Michael when he needed us the most. I wish I stood by him more, but my heart will always remain his. I never stopped buying his records. I sang the loudest when his songs came on the radio. I proudly thrust my hips and kicked my legs to honor his moves. I studied his facial expressions and fierce outfits. I replayed his CDs more times than I can count. I quietly daydreamed of performing with him on stage to “The Way You Make Me Feel.” and on the eve of his passing, I blared his music in my car so loud that it drowned out my drooling sobs. I immediately thought of his children, his family, and his fans. MJ reminded me that boys will be boys. men can change. people are as accepting as they are cruel. the world needs healing. and anything is possible if you just try. 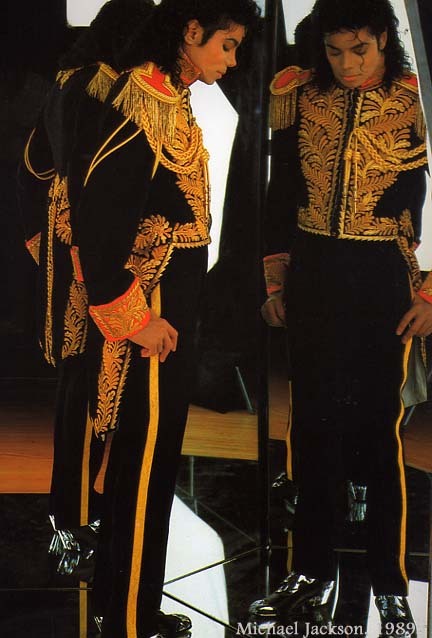 Michael Jackson always stuck with me. I wish I did more of the same for him. I no longer mourn but promise to continue celebrating you. forever you remain my number one. 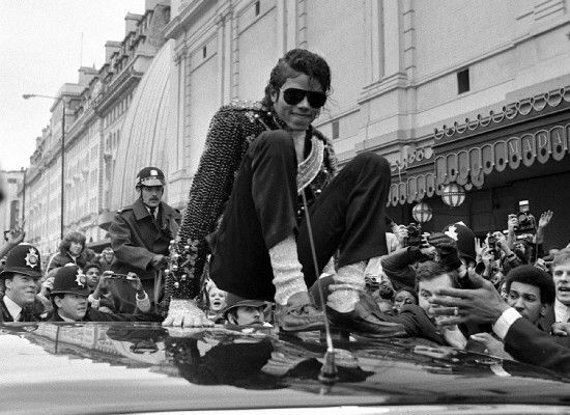 the world is quiet without you, MJ. Nice page, with some good photos, thanks for sharing.